I remember when I first began to understand things of the Lord. The pastor of the church I ended up at is called Without Walls Central, and Pastor Scott Thomas- the senior pastor, has a great way of pulling the Old Testament truths out of The Bible and showing there relevance in our society and culture, as well as that of the New Testament. At first when I witnessed this and really began to look into it on my own I was mesmerized at the revelation that God had waiting for me…. and for you as well :)! The importance is opening the Bible for yourself and really getting into the word, there will be things that are shown in the word that do not just come through reading, but when you put the word into it’s original context, it comes alive in a way you’ve never experienced! I couldn’t help but fall in love with this concept: quickly my book shelves became lined with books on the state of Israel and my relationship to them, but it never really clicked and all come together until my first ACTUAL TRIP to the Holy Land. I’ve been back twice since and truly can say- no cliche intended- that it changed my life and especially my outlook on the Bible: scenes come to life after I walked in the same place, I relate stories to the actual stones, locations, and ruins. It’s something that almost can’t be explained, only experienced to truly understand it. IF YOU ARE A CHRISTIAN, WHO IS SEEKING MORE FROM THE WORD- GO.TO.ISRAEL….simple as that… START PUTTING AWAY LITTLE-BY-LITTLE AND JUST GO! IT IS WORTH EVERY PENNY!!!! 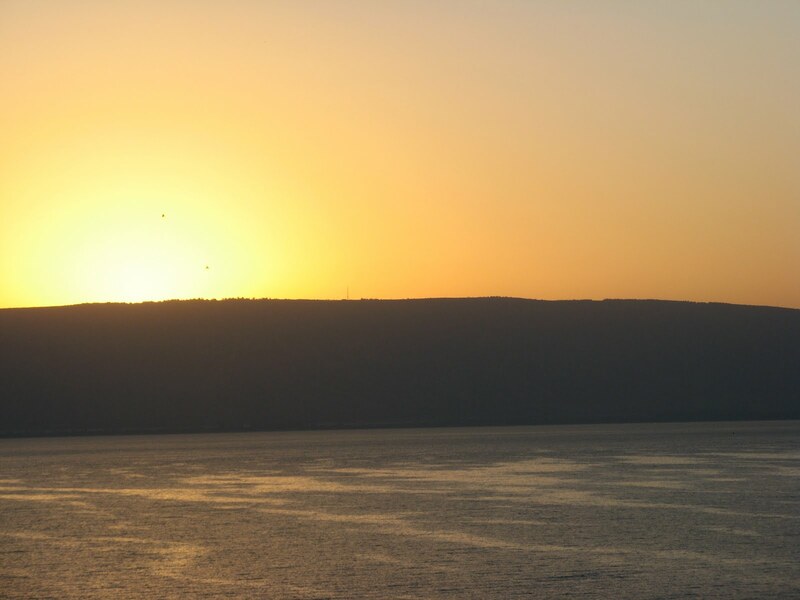 I remember the very first night that I spent in Israel, with incredible jet lag, I sat out on my balcony (I was trying to soak it all in… at 4AM)- I wrote, I prayed, I sat in silence- all while looking out at the Sea of Galilee, being completely amazing by the mountains that plateau around it. I remember wondering how something so ugly, so plain, can be so brilliant and breath taking; and when I say breath taking, I mean like, I couldn’t stop staring. One of my favorite places is this youth hostel that sits on top of a dried up ocean and at the base of a massive mountain in the Negev dessert. It’s completely dark out there so the stars are a blazing glory in the sky, and outside in the court yard there is a small ledge that I always sit on and look up at the height and detail and majesty of this mountain. I can not get over it. Every time I go I get overwhelmed to think that he put each one of them in place for his glory. So anyways, back to my first night on the balcony- time passed, and -the best part- the sun began to rise. I can’t put words on what this looked like. I took about 79 photos of it and none of them did this moment justice. When i got home I couldn’t get over it’s greatness and when people would see the photos they would say “o, that’s nice” and flip to the next. But in my heart I was so excited, not by the photo, but by that night on the balcony, when God gave me a tender and grateful heart for Israel. Ever since then, and the more that I learn, I can’t help but to love and support everything to do with this nation and the covenant that has decreed by God. Not only because it is a commandment, but because it is a passion, I feel so grateful for the opportunity, and as lead by my heart, as I learned the facts of Israel it only give more reasons to be in support of their current situations with surrounding countries. Currently I pray for the peace of Jerusalem, as well as for the Israeli/American alliance. It is one that is dear and would be disappointing to see decease. However, it didn’t start out that way. I never knew all of the things that I know now from the beginning, and I didn’t learn them growing up in church, it is just now that many Christians are understanding the importance, or even have that “moment” where it all clicks and they’re hooked forever into this awesome relationship with Israel. My “moment” just happened to be there- out on the balcony- mesmerized by the majesty of Jesus Christ. Previous Post WOW, Blog Much?